Your mind is your most powerful tool, and your success in the gym depends on focusing this power. Built a Mass Machine mindset, and it will help you do more than build muscle and lose fat! Years ago, the muscle magazines nicknamed me "The Mass Machine" because of my extremely disciplined and effective approach to bodybuilding. I went on to become a six-time national champion drug-free bodybuilder because I grew to understand the necessary mindset and how to maximize it. 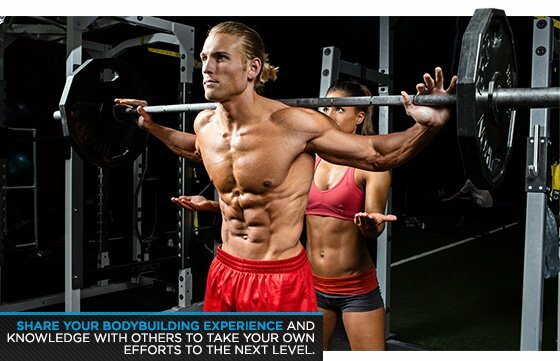 Back in May of 2008, Bodybuilding.com invited me to create my own forum thread to provide information and inspiration to bodybuilders at all levels of training. The Skip La Cour Mass Machine Bodybuilding thread has grown to a phenomenal 8,000-plus posts, with more than half a million views. Through more than 200 instructional videos, weekly podcasts, and hundreds of one-on-one critiques, I've helped to motivate and inform an enormous number of bodybuilders. I can't tell you how gratifying it has been. In this article, I'm going to share something far more important than any simple programming trick. These are my top 15 tips to create and utilize your own "Mass Machine Mindset" to succeed both inside and outside of the gym. Every single action you take toward your ultimate bodybuilding goal is important, but unless you make each step the most important thing in the world, you'll never get the results you're capable of getting. Adopt the mindset that while you do it, this weight training session is the most important thing in the world. This intense cardio session is the most important thing in the world while you do it. This post-workout meal is the most important thing—and so on. However, once it's done, it's done. If you don't perform as well as you want, it doesn't matter anymore. If you did do well, it doesn't matter either. The next workout, the next meal is now the most important thing in the world. Keep intensely focused and moving forward. Strive to be the best version of you that you possibly can—regardless of your genetic limitations. We all have natural weaknesses. We all have natural strengths. However, we're not powerless against our genetics. We can choose to work with our weaknesses and capitalize on our strengths. Sometimes, simply having a plan that we have confidence in and we consistently strive toward is all we need to feel great about the challenges we face. If you check out my website, you'll see that this is one of the most common themes. There's always more I can do to get better in my bodybuilding and training efforts. I'm never forced to settle for what I know or can do right now. It doesn't matter what I have or haven't accomplished in the past. There's always more. To get more out of my performance and genetic potential, I'll need to better organize, harness and utilize my physical, mental, emotional, and psychological abilities. I'll also need to maximize resources like time, information, money, and the people around me in ways that help me achieve more. Results matter most. Never forget this. Never get complacent or comfortable just because you check a lot of tasks off your list every day, or you use strategies that your friends all agree are the best. 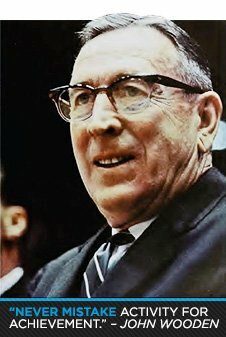 To paraphrase John Wooden, never confuse activity for accomplishment. There's a big difference between the two. If you aren't getting the results you want, you're probably working too hard on the wrong things. As the saying goes, "To teach is to learn twice." Openly sharing your bodybuilding experience and knowledge with others is one of the most effective ways to take your own efforts to the next level. You get a better understanding of and perspective on what you're doing when you break it down to someone else. Walk your talk. There's no need to force what you believe onto others. If people respect what you do, they'll seek out your advice. And make sure you have the other person's best interest in mind. Helping others isn't about you and your ego. This is the biggest purpose of my Facebook page. Strive to use the latest and most effective scientific research to help you reach your training goals. Just remember that a great physique is your ultimate goal—not the fact that you use science. That's like a person priding himself on being a business school graduate but losing the sight of the fact he wants to become a successful businessman. A well-educated bodybuilder shouldn't be satisfied with the knowledge they earn when it isn't producing results. A bodybuilding strategy doesn't need to be optimal in order to be effective. An optimal strategy, without desire and determination, can be just as ineffective as a terrible strategy. Although perfect is great, you don't always need the perfect strategy if your head and heart are in the right place. You'll eventually find your way there. If you believe that you're already using "perfect" strategies and still struggle, then do some soul-searching. Be honest with yourself and evaluate your desire and determination. When you see people who have better physiques than yours, admire them. Use what they've accomplished as a source of inspiration. Don't assume they have done anything extraordinary to get that body, were blessed with perfect genes, or are using drugs. Even though their physiques may be far beyond what you currently believe is possible for you, use them as motivation that can end up proving you sold yourself short. Make sure the people you spend your time with are at least as determined, optimistic, and driven as you are to reach their definition of success. People who are at your level or above think the way you need to think and actually do the things that you must do in order to succeed. It is undeniable that people who are certain about who they are and what they are about will control the environment of the people they're with. Make things easier on yourself and only associate with people at your level or higher. So, why would some at a higher level want to associate with you? Develop the Mass Machine Mindset that I outline in this article, and provide them with a great incentive. An outstanding mindset and attitude can compensate for the results you haven't earned—yet. Don't be satisfied just to outwork everyone else. Results matter most. Outwork and outperform everyone else at the same time. A lot of hard work without outstanding results to show for it is, well, just a lot of hard work. They're not always glamorous, but the basics work. That's how they became the basics. New, different, exciting strategies are appealing, but will they help you get the results you want or just overwhelm and confuse you? Until you reach an expert level, you don't have the knowledge to assess these new techniques. You could end up dumping a solid strategy for one that's not going to work. It's like passing up a solid truck that was actually a monster for a shiny new car that turns out to have a puny engine. Are you in a slump? Just remember that this too shall pass, so keep on keepin' on. You'll climb your way back to machine-like progress if you just keep focused on your high standards—even if you aren't executing them as well as you'd like right now. Tip 13 /// If You Think It, You Must Do It! Make the commitment to stop questioning that part of you that knows who you are and what you are capable of doing. Step up. Man up. Trust your instincts. Do what the real winner inside of you instructs you to do. When you are about to begin a set and your first thought is to pick up the 50-pound dumbbells—then do it! Don't talk yourself out of it. When you know you really should do at least eight reps during your next set with the weight you chose, don't rationalize and decide that less than eight reps is acceptable. Like your muscles, this Mass Machine Mindset will get stronger the more you use it. Don't waste your time asking anyone what your "potential" is to build a great physique. In life, you either do it or you don't. You don't need anyone else's approval or validation to go for what you want. 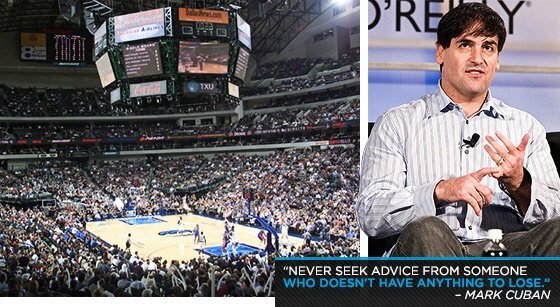 Billionaire businessman Mark Cuban has a saying: "Never seek advice from someone who doesn't have anything to lose." No one cares about your success more than you. No one has more to lose if you fail than you. Take charge of your destiny and don't let anyone derail your future. The most successful person creates the largest gap between where they started and where they are now. The person who starts with few advantages but works his tail off to produce remarkable results is far more successful than the person who is extremely gifted and only ends up with good results. I know they appear to have achieved the same level of success but a Mass Machine doesn't see it that way. Stop comparing your current situation to other people who appear to be more advanced, and start focusing on crossing the longest distance you can! Skip La Cour established himself as a leader in bodybuilding through his physique and by teaching his training philosophy for over 20 years..